The Standard Rooms open the door to superior comfort. Equipped with either a double or a single bed, the rooms charm with a relaxing harmony of colors, interior decor and functionality spread out on 26 sqm. The rooms are available in two different categories, either with mountain view. SHOW THE PRICE STANDART ROOM M.V. The Standard Rooms open the door to superior comfort. Equipped with either a double or a single bed, the rooms charm with a relaxing harmony of colors, interior decor and functionality spread out on 26 sqm. 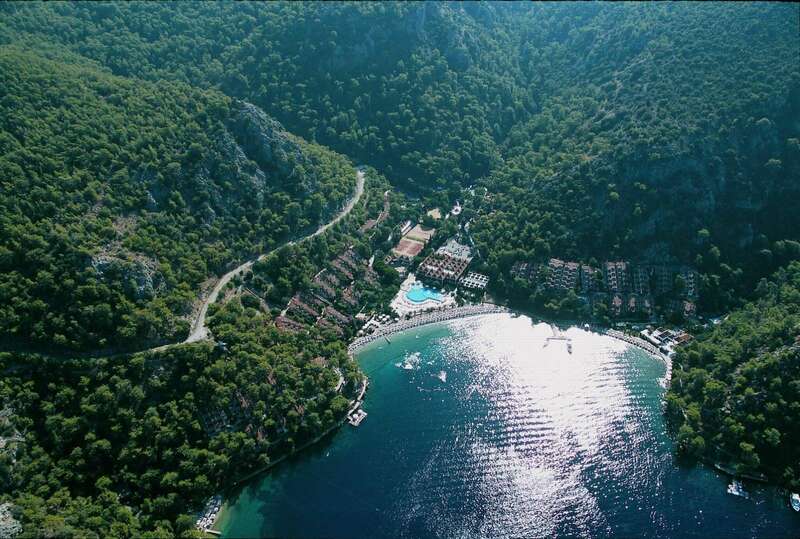 The rooms are available in two different categories, either with a sea view. SHOW THE PRICE STANDART ROOM S.V. The Deluxe rooms provide the same features as the Standard rooms. 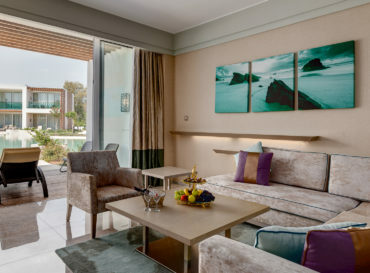 Covering 32 sqm in total, the Deluxe rooms are spacious and surprise with bathroom amenities for men, women and children. 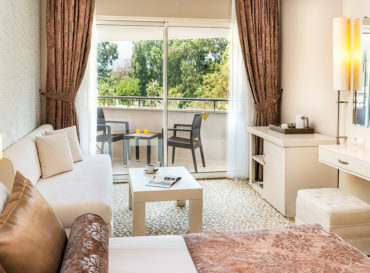 There are two categories of Deluxe rooms, either with a garden view. SHOW THE PRICE DELUXE ROOM G.V. The Deluxe rooms provide the same features as the Standard rooms. 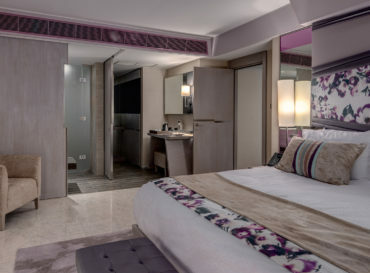 Covering 32 sqm in total, the Deluxe rooms are spacious and surprise with bathroom amenities for men, women and children. 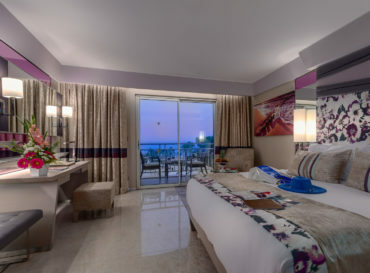 There are two categories of Deluxe rooms, either with a sea view. SHOW THE PRICE DELUXE ROOM S.V. Having a bedroom and sitting area, the Pool suite covers 45 sqm. 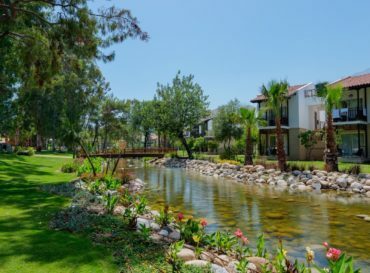 Offering superior comfort and luxury, the rooms open to a perfect garden. Combining comfort with aesthetics and natural beauty, the Pool suite promises a perfect holiday with its terrace and pool. FAMILY GARDEN SUITEResponding to the needs and wants of families with children, the Family Garden suite is composed of two bedrooms with a connecting door. Additionally, the suite offers an amazing garden view. FAMILY SUITE Composed of french bed and twin bed bedrooms; the family suites have been designed to respond to needs and expectations of families with children. Covering an area of 52 sqm, the family suites promise a spacious floor area. 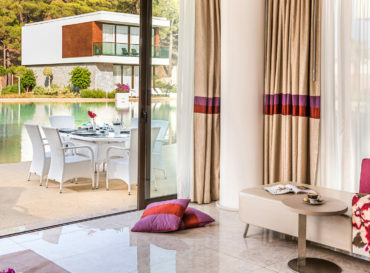 Combining the comfort of your house with five-star hotel comfort and luxury, the family suites offer unforgettable holidays for all members of the family. DELUXE SUITE Every moment of your stay will be extraordinary at the Deluxe Family suites, offering a spacious living area especially designed for families with children. 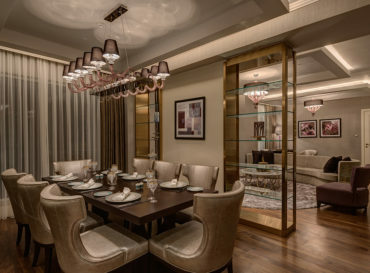 Covering 100 sqm, the suites are elegant, aesthetic and relaxing. KING SUITE Covering 300 sqm in total, the King suite combines the extraordinary comfort and quality of Rixos for a unique sensation of luxury. The parents’ room has a dressing room, a bathroom and Jacuzzi and a sitting area. Additionally the King suite offers a dining table, a bar as well as a sitting room with an excellent view and a spacious and relaxing terrace. The sitting group, dining table and lounge chair on the terrace make your holiday a memorable one. Composed of a bedroom and a sitting room, the suite offers comfort on two floors. The terrace opens to the swimming pool. Additionally the living room and French balcony ensure a perfect holiday experience. EXECUTIVE VILLA The Executive villas are located in the villa section, available and accessible for guests checking in at the villas only. Feel the comfort of your own home at the Executive villas, which have a private swimming pool. Composed of two bedrooms, an attendant room, a kitchen and sitting room, the villas offer unpacking service by professional butlers as well as vacuum packing service, shoe shining and laundry service for free. Furthermore, the guests of the Executive villas enjoy privileges at the Exclusive Lounge at the beach and à la carte restaurants. The guests of the Superior villas have access to all services offered to the guests of the Executive villas. 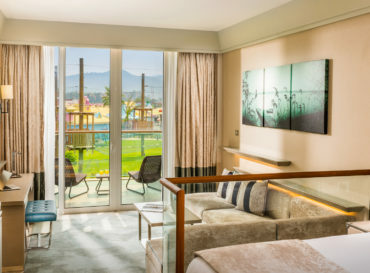 Experience the superior Rixos luxury spread out on 300 sqm, offering a spacious living area, a private terrace and a private swimming pool. The villas are composed of one attendant room, 3 bedrooms, one of which is double bedroom, a sitting room, a kitchen and a dining room. 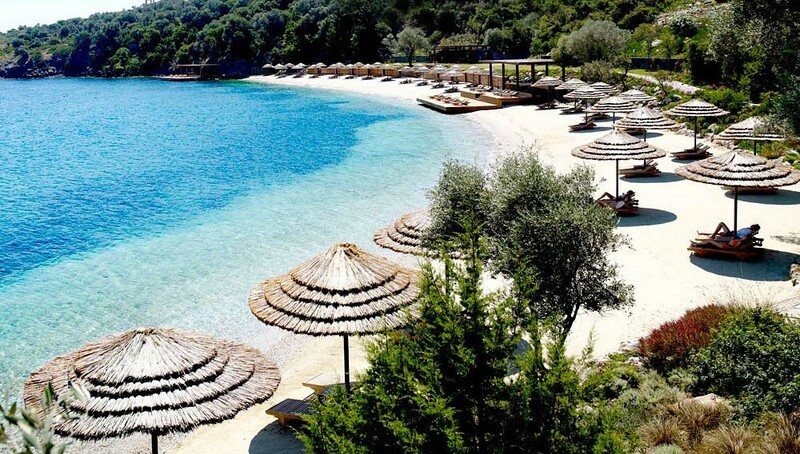 Rixos Premium Tekirova offers magnificent holidays in the shades of blue and green combining history, culture, quality and luxury. 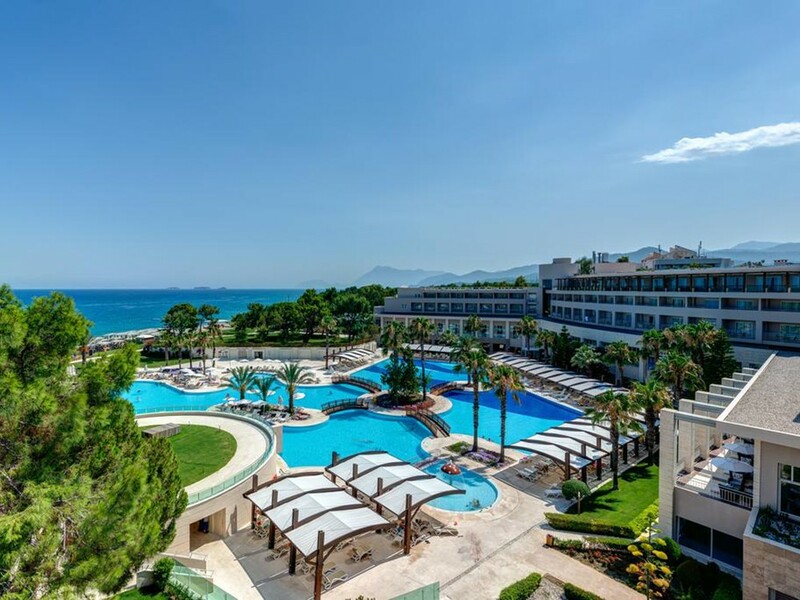 Established on 186.000 sqm, the Rixos Premium Tekirova provides superior facilities and excellent services you will never forget. 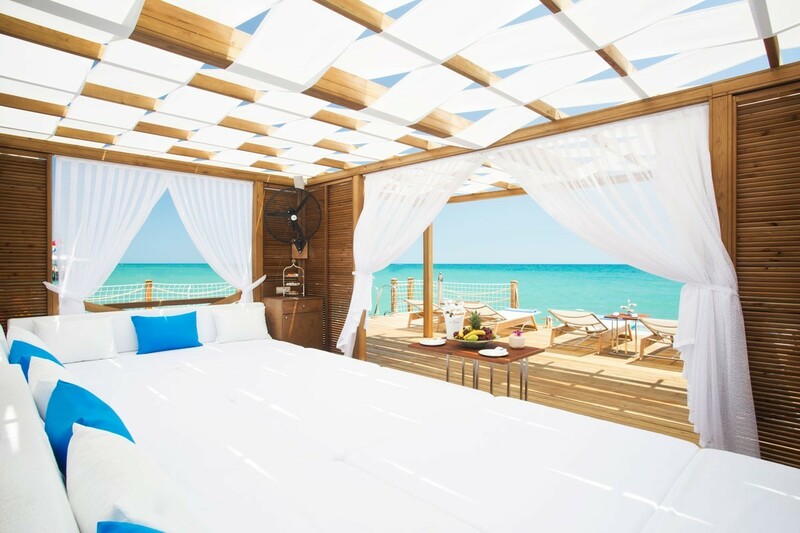 Dreams come true in the charming world of the Rixy Club at the Rixos Premium Tekirova. The activity program of the Rixy Club has been especially created for children of different age groups, e.g. Rixy Mini for 3-5 years, Rixy Midi for 6-7 years, Rixy Maxi for 8-12 years and Club R for 13-17 years. 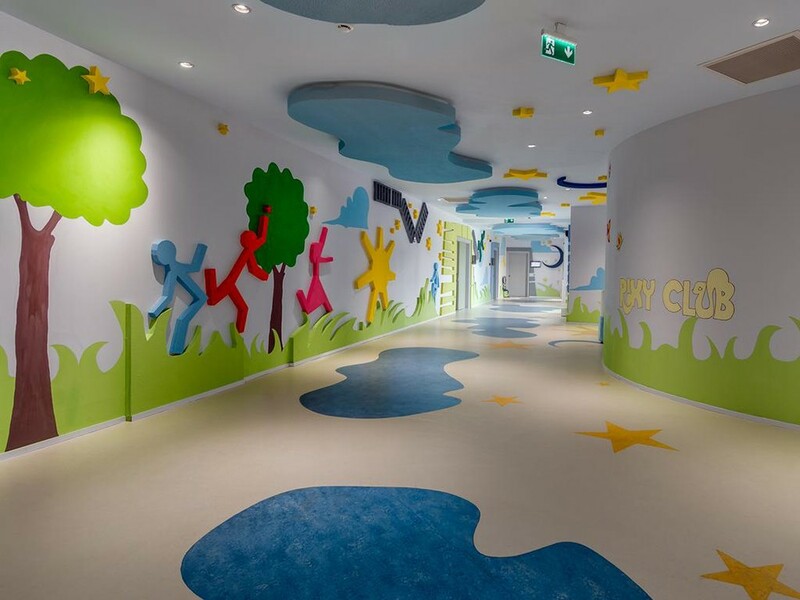 There is also a special free care service (extra charges during special hours) for babies for the age of 6-36 months, the Rixy Baby Club (only during summer time). The Rixy Club offers a variety of services turning your holidays into successful ones. Our professional Rixy Club team entertains your children all day long. The Rixy Club is a magical world leaving an unforgettable impression, giving lots of positive energy and will help you to fully enjoy your holidays. Besides the main daily program for children there is a big choice of evening activities. Exclusive children shows have been organized to make your child happier at Rixy Amphitheater. The Rixy club team invites you and your children to take part and perform on the stage in the big Rixy Kids Show. Rixy mini disco is a big celebration for every child! Presents, awards, dances on the stage, fun and happiness will follow you during Mini DiscoTime. Every single member of the Rixy club will be awarded with a special Rixy passport which is valid in every Rixos hotel you visit all around the world. A special zone for kids named “Rixy Beach” will definitely make the time you spend on the beach with your family more pleasant. The Yummy Children restaurant is a special place separated from the main restaurant where you and your children can always find healthy and tasty meals. The Rixy Club will impress you with its enormous and fabulous children playground equipped with an amphitheater, swimming pools and aquaparks, playground complex, extreme climbing wall, rope scope activity park, play rooms for all age groups, sleeping room for babies, baby play room with an unbelievable variety of different developmental toys and antibacterial floor cover, dance room, playstation and Xbox rooms, computer room, cinema and creativity center. World famous DJ performances, concerts, special shows and much more are awaiting for you in the unique world of entertainment at the Rixos Premium Tekirova. The Rixos Premium Tekirova offers a dream-like experience with the exciting performance of world famous DJs, concerts and special shows. Events are organised at the Lotus Scene and in the Chaos Disco where you will step into the seductive world of music, dance and shows. The sky is the limit at the special and theme parties. 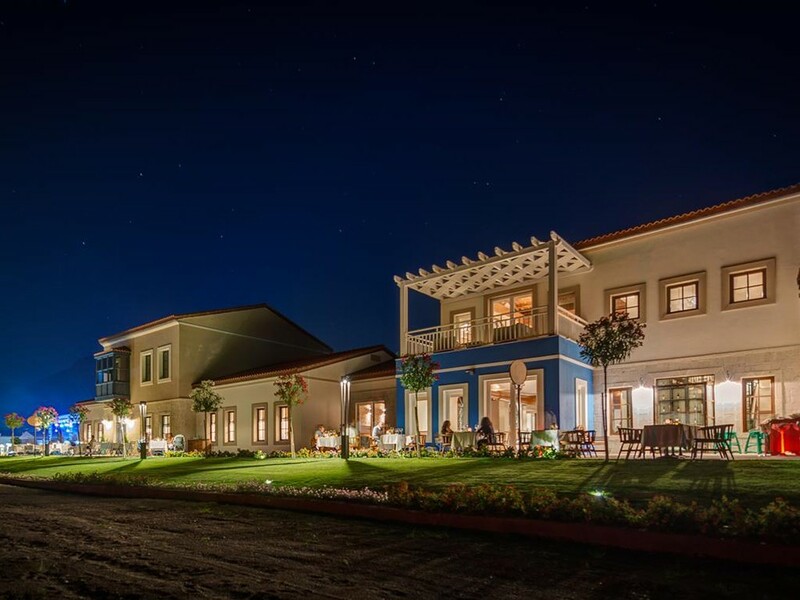 Experience unforgettable nights-out with the Rixos Premium Tekirova quality. Lots of entertainment is awaiting you at the Rixos Premium Tekirova. 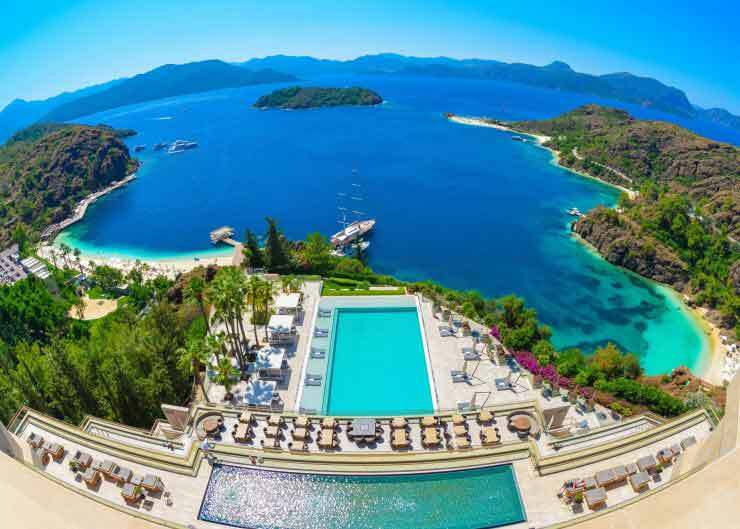 Detox and rejuvenate at the Rixos Royal SPA. Treat yourself to a delightful gourmet experience… Enjoy special flavors at the Rixos Premium Tekirova. 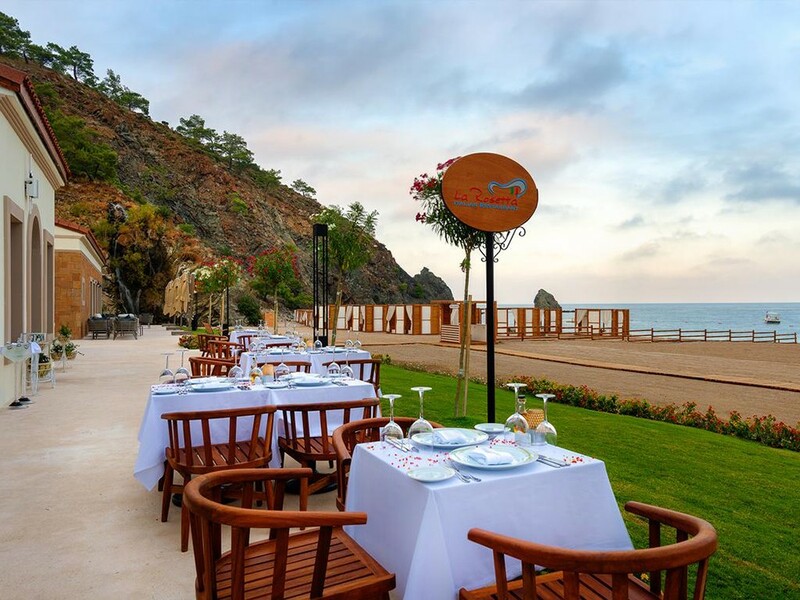 The restaurants provide a wide range of dishes including Italian cuisine, Far East cuisine, Turkish cuisine, South American cuisine, seafood dishes and international cuisine. Anything you can ask for is already available at the Rixy Yummy Restaurant, making our little guests happy with special menus for children. Try alcoholic and non-alcoholic as well as hot and cold drinks at 8 different bars at the Rixos Premium Tekirova. Receiving its guests for breakfasts, lunches and dinners, the main restaurant offers a rich open buffet for the most distinguished..
Children and parents have a perfect option with a nutritious, healthy and delicious menu at Rixos Premium Tekirova. Enjoy a cold ice-cream under the heat of the summer. Cup and stick ice-creams will add taste to your holiday experience. 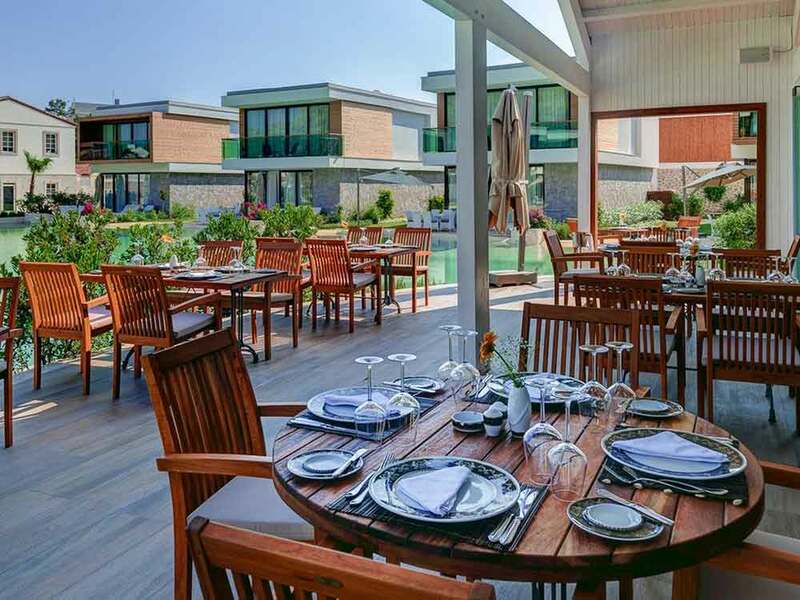 The joyous and delicious breeze of the Italian cuisine will add colour to your stay at Rixos Premium Tekirova. You will feel magic of Far East together with special meals of Mandarin Restaurant. 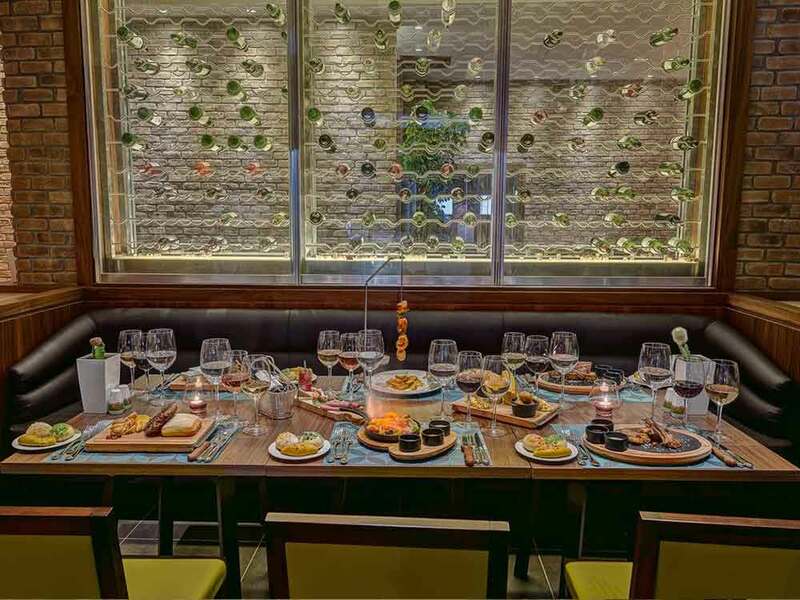 The hottest tastes from the South American cuisine are combined with the cool breeze of the Mediterranean evenings. Exercise at any time during your holiday.